You use your HVAC system almost every day, you service it regularly, but when have you had the air ducts cleaned? If you can’t remember, chances are you should do it ASAP. Having mold anywhere in the house is a health issue as it may cause coughing, sneezing, runny or stuffy nose, itchy eyes, and worsen existing conditions such as allergies and asthma. Enclosed, moist spaces such as air ducts are a perfect place for mold growth. Sometimes you can see it, sometimes you can just smell it - it has a musty odor about it. If the smell worsens when the HVAC system is turned on, you definitely need professional help. If you find insect shells or droppings in your vents, you have a pest problem. The first step, obviously, is to deal with the pests first. After that, the ductwork should be cleaned as well as sanitized. Sanitizing means that your system is treated with a disinfectant whose job is to kill any bacteria, viruses and fungus and to eliminate any lingering odors. If you cough and sneeze when you’re at home and feel better as soon as you step outside your house, chances are you have an allergic reaction to something inside the vents. 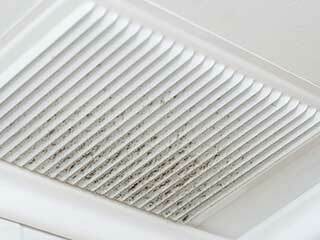 Dust, pollen, pet dander and other allergens build up over time inside the ductwork and clog the air filters. So, every time you turn on your system, it will redistribute the contaminants all over the house. If you can see dust on your table only hours after you finished cleaning your home, there is dust inside the ductwork. When you turn on the system you may even see dust being blown out of the vents and into the home. The problem won’t solve itself - the longer you wait, the more dust is accumulating and the harder you have to work to keep your home clean. In addition, by postponing duct cleaning, you are making your system working harder than it should, thus shortening its life. You may not be aware of it, but as your air ducts draw in air to use for heating and air conditioning, they're also drawing in dirt. This builds over time and causes clogs that drain your energy, as well as contaminating the air. Discover more here. Thank you for choosing our company! Feel free to browse our website for more information in the meantime. Our team at Air Duct Cleaning Vista is at your service any time!